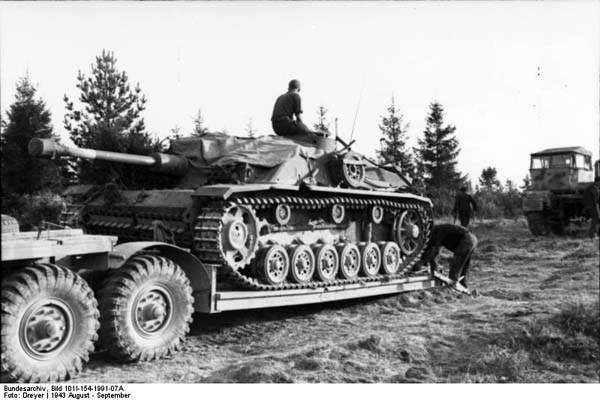 The Tiefladeanhänger für Panzerkampfwagen 22/23t (Sd. Ah. 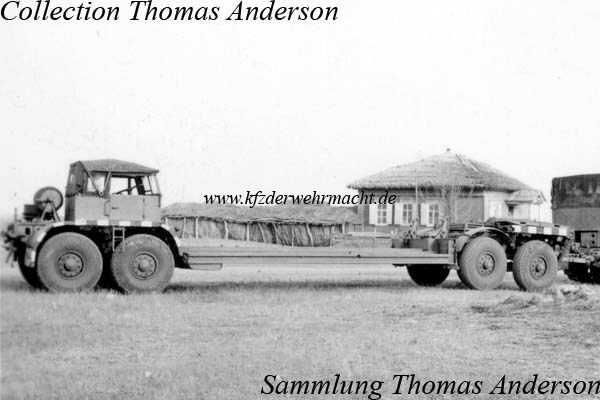 116) - flat bed trailer for armoured vehicles - was officially introduced in December 1940. 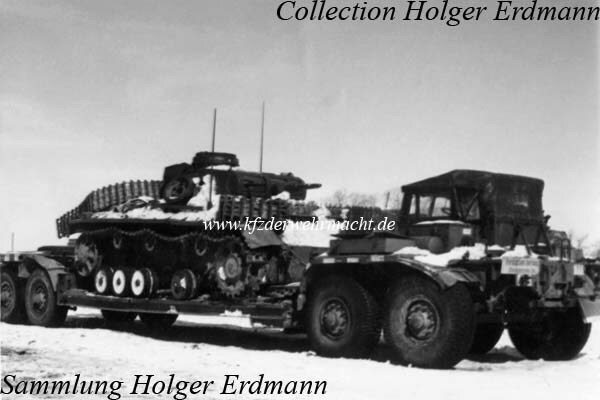 It succeeded the similar testing model which was designated Tiefladeanhänger für Panzerkampfwagen 20t (Vs. Ah. 642). Armoured vehicles up to a weight of 22 tons, later 23 tons, could be transported. On the rear carriage there was a cabin for a second driver. Usually, it was towed by a Sd. Kfz. 8 or a Sd. Kfz. 9. The Sd. Ah. 116 had a total length of 14.4 meters and a with of about 3 meters. The whole train had a considerable length which demanded a high grade of expertise from the drivers.